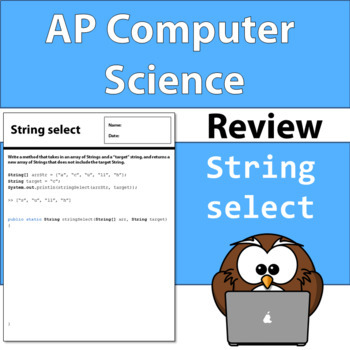 A worksheet that allows students to practice a common AP Computer Science exam question: copying an array of Strings while excluding a specific target String. Includes fully coded answer! 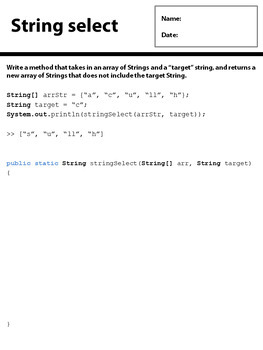 Write a method that takes in an array of Strings and a “target” string, and returns a new array of Strings that does not include the target String.